This beautiful property is located on the 2nd hole of the Baytowne golf course. 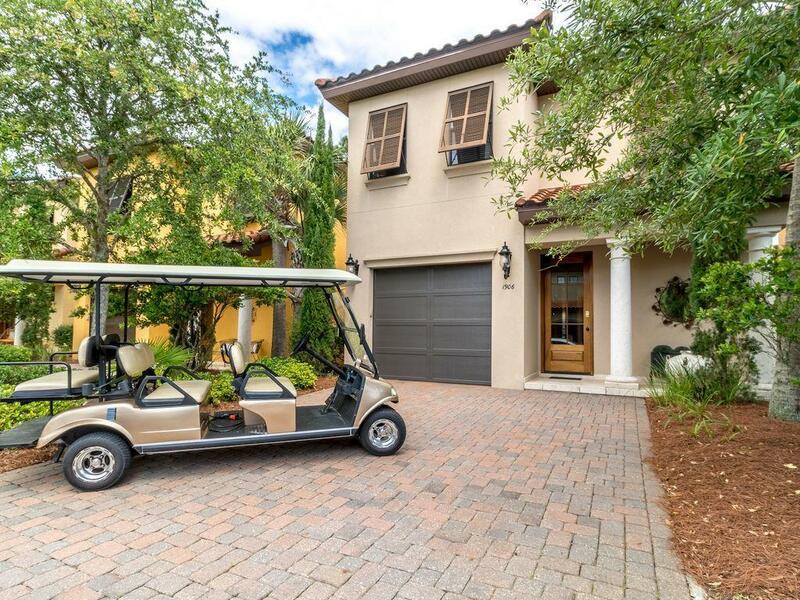 It is being sold fully furnished with golf cart. As you will see from the moment you walk in, the upgrades and additions will set this home apart from the rest. 10 foot ceilings downstairs, 9 foot upstairs, travertine first floor tile, upgraded crown molding in all rooms except closets. Hardwood stairs and risers on the staircase as well as hardwood on the upstairs landing and hallway. Upgraded custom raised panel kitchen cabinets with soft-close doors and drawers. Stone back-splash, and upgraded thick granite kitchen counter-tops. Top of the line light fixtures, sconces, and fans throughout. Granite counter tops and high-end mirrors through the bathrooms. Soundproofed insulated walls and floors.